Boeing said Wednesday its prototype “flying car” — part of a project aimed at “on-demand autonomous air transportation” — has completed its first successful test flight. 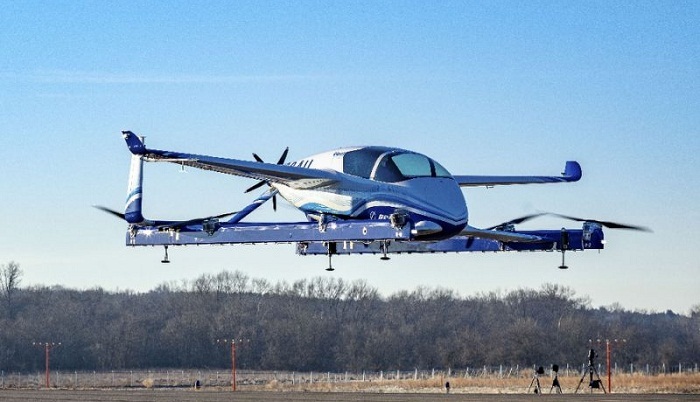 The electric vertical takeoff and landing (eVTOL) aircraft said the test was carried out Tuesday outside the US capital Washington, the company said in a statement. Boeing is among a handful of companies in the United States and around the world — including Uber and a startup backed by Google founder Larry Page — that are developing vehicles which could be used for personal air transport with autonomous navigation. Boeing NeXt, which leads the company’s urban air mobility efforts, utilized Boeing subsidiary Aurora Flight Sciences to design and develop the prototype. Next: How to make Mutton kaala bhuna!